Founded in 1891, Barium Springs Home for Children provided services to approximately 2,109 children in 2009. This is nearly double the number of children and families served in 2008. With staff increases and campus expansion, Barium Springs' goal is to expand and grow as the needs of NC children increase. By teaching them, keeping them safe, and above all loving them, we show these hurting children there is promise for a bright future. Barium Springs provides an array of services for children and families . . .
Big Brothers Big Sisters of America originated in Cincinnati, Ohio in 1904. Irving Westheimer, a young businessman noticed a boy foraging for his dinner in a garbage can and thought it would be possible to help him and others like him by spending time together in a one to one mentoring relationship. There are currently over 400 Big Brothers Big Sisters programs in the United States. The program began in Buncombe County in 1982, added Henderson County in 1989, and expanded to serve eight Western North Carolina counties by 2009. 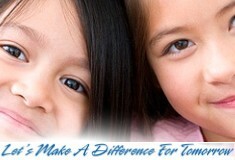 In 2011, 672 children benefited by having a Big in their lives. 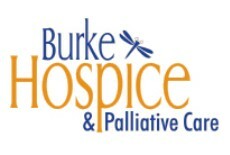 If you or someone you love is faced with an end-of-life illness, Burke Hospice and Palliative Care can help. Our mission is to provide care for someone who is at the end of their life so they may live as fully and as comfortably as possible. 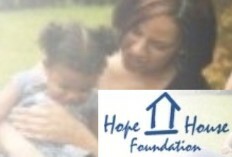 We also provide continuing support to those left behind. serves Burke County through offering people nutritious meals at our Soup Kitchen, counseling neighbors in times of crisis, and providing families with food, clothing and financial assistance. We accomplish our purpose with Christ at the forefront of all we do. Through displaying Christian love, support and positive fellowship, we bring our community together in realizing the Gospel daily. We invite you to explore our website, read our stories, and learn more about . . .
Children�s Miracle Network�s founding commitment was that all funds raised would stay within the community in which they are generated, supporting the Children�s Miracle Network hospital affiliate in the area. 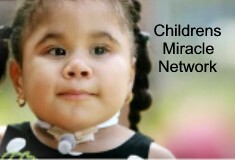 Children�s Miracle Network has kept that promise. All funds raised through Children�s Miracle Network for its member hospitals are provided to each hospital solely as discretionary funds that can be used to . . . Giving Hope, Changing Lives ~ Someone whose life has been turned upside down when she becomes displaced from her home needs her community�s support to help her work toward self-sustaining goals within a safe, responsible environment. 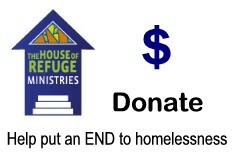 The House of Refuge ~ Help put an END to Homelessness . . .
We are classified as an emergency shelter for men 18 years and older. Men are allowed to check in daily starting at 4:30. Each guest must pass a breathalyzer. A $3.00 fee is charged with the first stay being free. A bed assignment is given along with fresh sheets and a towel. Each guest is required to shower and is allowed personal laundry room access. A hot meal is served at 5:30-6:00. Lights out is 10:00 pm. Lights on is 6:00 am. Breakfast is served in the morning and chore assignments are completed prior to check out by 8:00 am. "Welcome to Wish.org, the online home of the nation�s largest wish-granting organization. Since 1980, the Make-A-Wish Foundation� has given hope, strength and joy to children with life-threatening medical conditions. From our humble beginnings with one boy�s wish to be a police officer, we�ve evolved into an organization that grants a child�s wish in the U.S. every 40 minutes." In the fiscal year 2009, we granted the heartfelt wishes of . . .
People who have become homeless have been forced in many ways to disconnect with society. There are simply too many fears and insecurities to face each day, and let's face it when you are trying to find shelter for your kids, community service is not high on the list of to do's. 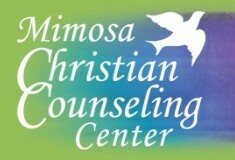 "Restoring Hope and Relationships for a Better Community" Our mission at Mimosa Christian Counseling Center is to provide professional counseling and to facilitate emotional growth and enrichment of each individual�s unique purpose and plan. Life is a journey which, at times, can become difficult and confusing. We believe that each person is gifted for a vital role in this journey, but these gifts are sometimes unrealized because of emotional hurts and scars. Our services, provided by well-trained, compassionate and caring counselors, are intended to help restore hope, encourage personal growth, heal emotional wounds, and strengthen one�s faith in God. . . . The story of the Good Samaritan (Luke 10:30-37) gives a clear picture of God's desire for us to help those in desperate need wherever we find them. After describing how the Samaritan rescued a hurting man whom others had passed by, Jesus told His hearers, "Go and do likewise." Shriners Hospitals for Children� is a health care system of 22 hospitals dedicated to improving the lives of children by providing specialty pediatric care, innovative research and outstanding teaching programs. Children up to the age of 18 with orthopaedic conditions, burns, spinal cord injuries and cleft lip and palate are eligible for admission and receive all care in a family-centered environment with no financial obligation to patients or families. 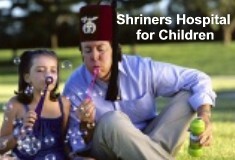 It's how Shriners Hospitals for Children� has been Changing the World through Caring for Kids since 1922. St. Jude Children's Research Hospital is the charity ranked highest in trust in the United States, according to a public survey conducted by the international research firm Harris Interactive. "This is an affirmation of the value of the lifesaving work St. Jude Children's Research Hospital has been conducting for almost 50 years," said Dr. William E. Evans, CEO and director of St. Jude. "The American public has embraced Danny Thomas' dream that 'no child should die in the dawn of life,' and we have worked tirelessly. . ."